Good morning Foxen family! We’re putting on our first sweepstakes! Time to get creative and get pinning! If you have any questions feel free to email us at web@foxenvineyard.com. Have fun and we can’t wait to see what you all come up with! 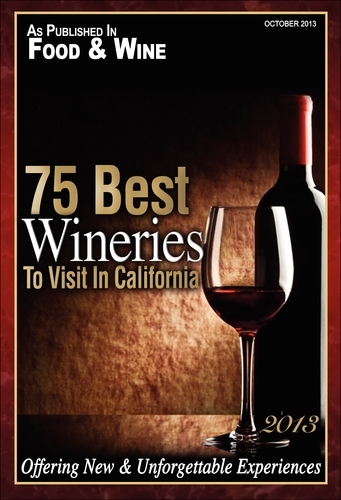 Food & Wine Magazine has compiled a list of 75 must visit wineries in California for their October 2013 issue, and we are proud to announce that Foxen has been selected as one of those wineries. We are incredibly humbled and excited by this recognition. It’s amazing to think that this all started with two, passionate friends in 1985 at a shack in Foxen Canyon. We could not have made it this far without the continued support of our fans, wine club members, and our fellow industry friends referring so many people to us. So thank you everyone for believing in us and allowing us to do what we love most! We would also like to congratulate our fellow Santa Barbara County wineries that were named as well! Congratulations to Stolpman, Qupe, Brewer-Clifton, Beckman, Au Bon Climat, Kunin, Palmina, Margerum, Sanford, and Loring! We are proud of all of Santa Barbara County and wouldn’t want to be anywhere else! The issue is currently on newsstands, but if you can’t wait that long you can read the article here. Thanks again everyone and cheers! Whew! Last week was a full and busy week for us at Foxen! The theme for the week was definitely Pinot Noir. All week we had fruit coming in from Solomon Hills, Riverbench, La Encantada, Bien Nacido Blocks 8 & 43, Melville, and Julia’s Vineyard! And we’re not done yet! Billy is expecting us to get in over 40 tons of Pinot Noir in the coming two weeks. With all the fruit that has been coming in we’ve been running out of room in our fermenters. On Wednesday and Thursday the crew emptied tanks by draining the free run juice by gravity, then the remaining fruit was gently pressed and put to barrels over the next few days. The barrels were then sent into the barrel room to continue secondary fermentation and aging. This opened up the needed fermenter space for the fruit that came in on Friday and Saturday from Julia’s, Melville, the first half of Bien Nacido Block 43, La Encantada, and Bien Nacido Block 8 (specifically Pinot Clone 2A). Our hands are full of fermenting Pinot juice and we’re loving it! Billy also reports that “Syrah is looming on the horizon as well as Bien Nacido Block UU Chardonnay!” So look forward to more Rhone reports in the future! The crew had their hands full today with Pinot, Pinot, Pinot! We received our allotments from Julia’s Vineyard, Melville Vineyard, as well as half of the fruit off of Block 43 at Bien Nacido Vineyard. The Julia’s fruit came in from the B3 Block and is 100% Pommard clone. Off the truck the clusters weighed in at 6 tons! 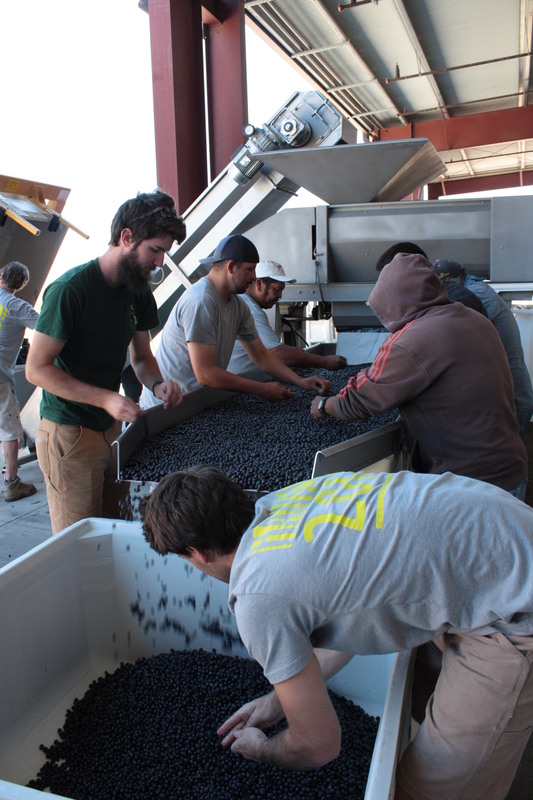 The crew de-stemmed by hand and the clean berries went into open top fermenters. We received our 2 ton allotment from Melville Vineyard today from the Estate C Block and the berries are Clones 115 & 777. 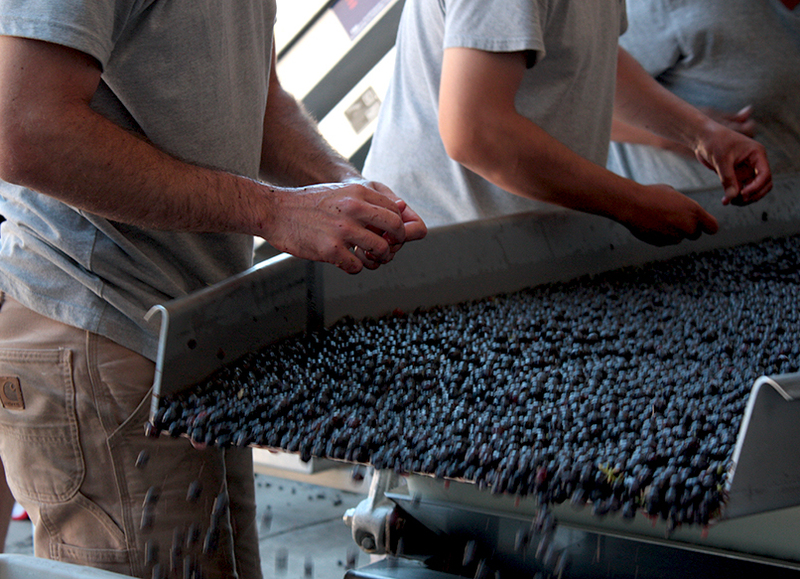 These clusters were also sorted by hand and went into the fermenters 100% whole berry de-stemmed to await pressing. Last but not least is our Clone 667 Pinot Noir from Block 43 at Bien Nacido. The clusters weighed in at 6 tons and are looking great . We still have half of Block 43 left to pick, so hopes are high for this vineyard designate in the coming years. 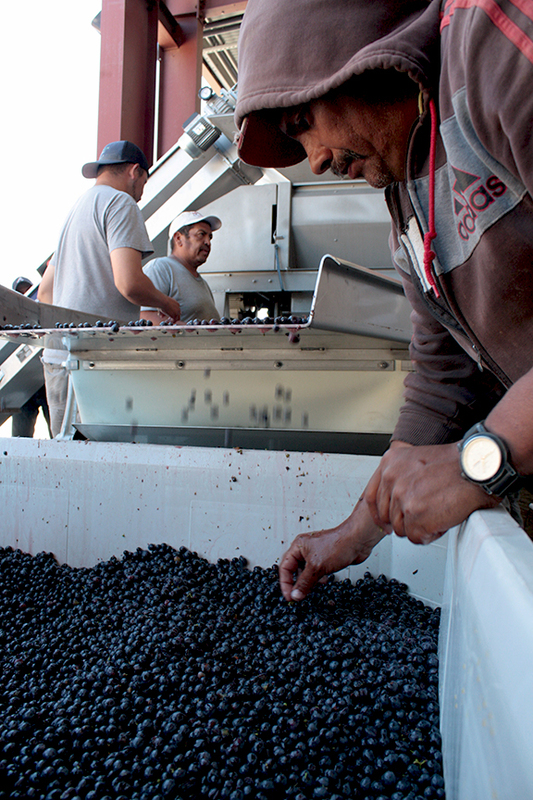 Just like the Julia’s and Melville Pinot, the Block 43 berries were de-stemmed by hand and went into our open top fermenters. Billy is happy with how the Harvest is going so far and is pleased with how well and hard the crew is working. Looks like the 2013 Vintage is shaping up to be a beautiful one! Cheers! Harvest is in full gear now and we’re only picking up more steam. Last week the crew had their hands busy with Pinot Noir, Chardonnay, and Sauvignon Blanc! On September 5th half of our Block 8 Pinot Noir was picked, two thirds of our John Sebastiano allocation, one third of Solomon Hills was picked, and we received our 3 ton allocation from Fe Ciega Vineyard. All of the Pinot is looking gorgeous. Big, plump, and juicy berries are being brought in on a daily basis and we are quickly running out of room in our fermentation tanks! Along with the plentiful Pinot harvest this year we got in an amazing haul of Sauvignon Blanc from Vogelzang Vineyard on the September 6th. In Billy’s words, “All of the fruit has been plentiful and in excellent health!” The berries were full of flavor and it was easy to see that we aren’t the only ones who love it. Our berries were being tended to by some local honey bees as well! 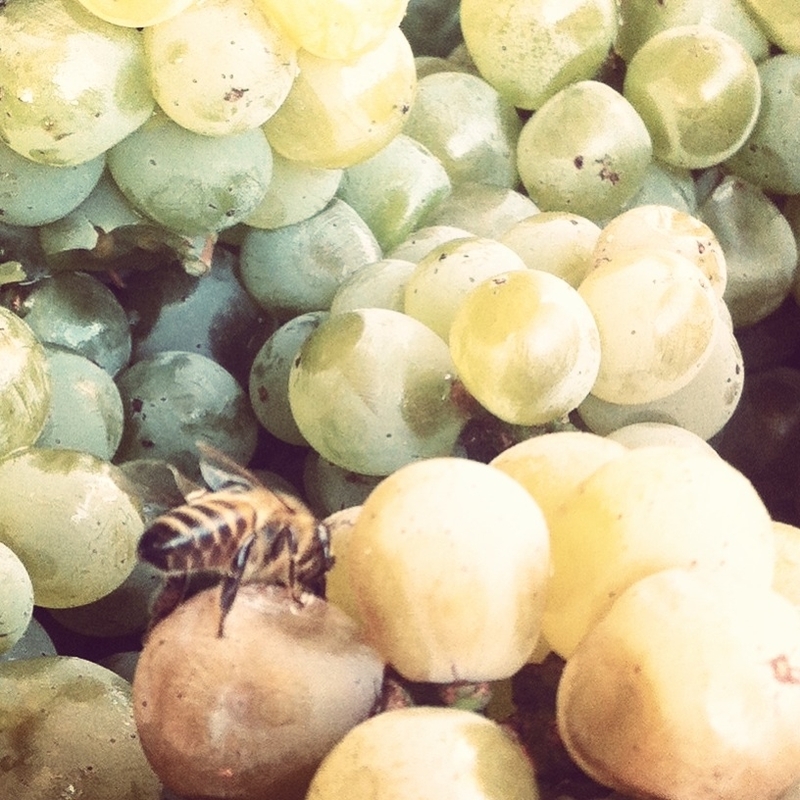 Even more good news, we have harvested Chardonnay from our estate Tinaquaic Vineyard. While the yields are down this year, due to lack of rainfall and a short spring, the quality of the fruit has not suffered one bit. The clusters are on the smaller side, but they are highly concentrated and flavorful. So far we have picked all of the Wente clone from Tinaquaic on September 5th as well as Clone 4 on the 7th. 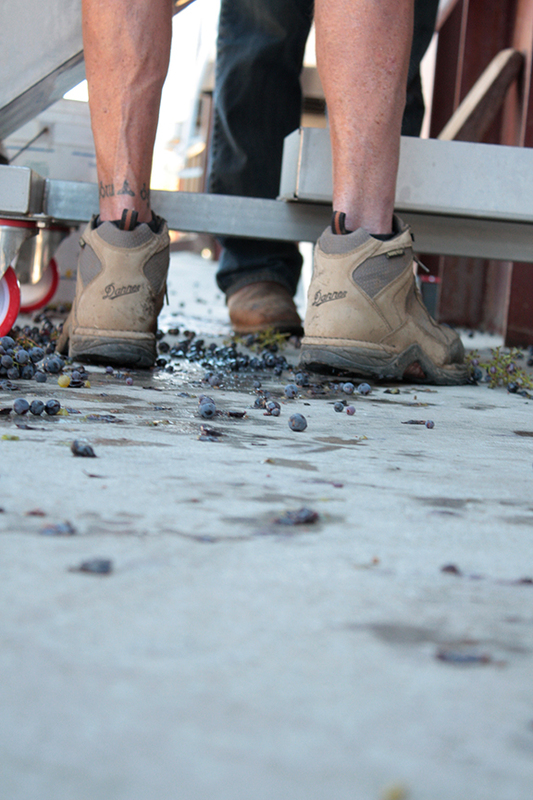 Cheers to a solid 2013 Harvest so far! Check in next week for more Harvest updates! The Celebration of Harvest Weekend held over October 11-14, is our annual celebration of the year’s bounty. Vintners take a break from the vineyards and cellars to pour their wines and share harvest tales. Throughout the weekend select wineries host their own events on Friday, Saturday and Sunday, ranging from winemaker dinners through library tastings and sales to new wine releases and barrel tastings. The highlight of the Celebration of Harvest Weekend is the Festival. A grand tasting and silent auction on Saturday, October 12, on the beautiful grounds of the Rancho Sisquoc Winery. Taste wine from all the 100+ winery members, enjoy food sampling from the area’s finest restaurants, caterers, and food purveyors, and listen to live music. The festival ticket price is $75 per person, and at the door (if still available) ticket price is $85 per person. 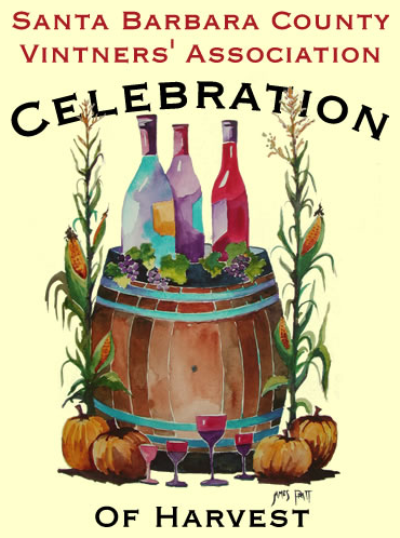 Please visit the Celebration of Harvest website for more information about participating sponsors, wineries, vendors, restaurants, events, and to purchase your tickets.